Taking a Royal Caribbean cruise is a great family vacation because of all the great things to see and do onboard. Swimming, fine dining, kids clubs, Broadway shows, and massages are just a few of the wonderful activities available to do onboard. With so many choices, you may be wondering what you can do to ensure you not only see it all, but don't miss anything. Here is our guide to the most helpful tips for planning a successful Royal Caribbean cruise adventure. When the day finally arrives to take your Royal Caribbean cruise, plan on arriving to your cruise port as early as you can to avoid the embarkation day crowds. When we say arrive early, usually that means arriving at the port in the morning. On Royal Caribbean cruises that depart from the United States, that is usually before 11am. There are a few really good reasons to arrive early. It will begin your vacation sooner! Royal Caribbean ships usually arrive in port and disembark their passengers early in the morning, so if you can be at the pier around 10am, you will be setting yourself up for a great (and less crowded) start to your cruise! When you first board your Royal Caribbean ship, everyone is excited to explore the ship and take it all in but the one area that is very empty will be the pools! Since most guests pack their swimsuits in the luggage that they check in at the pier, no one has their bathing suits to go swimming yet. This means, you can have a fantastic opportunity to have Royal Caribbean's impressive pools to yourself. Pack your bathing suit in a carry on bag and then change in one of the public restrooms. Towels will be provided in the pool area for your use. By bringing bathing suits with you to change into on embarkation day, you will be able to enjoy the pools and hot tubs without the crowds that will soon arrive for the rest of the cruise. 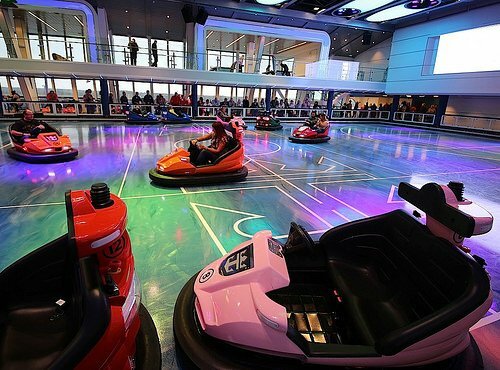 The FlowRider, Ripcord by iFly, bumper cars and rock climbing wall are just a few of the really popular activities that many guests specificially want to try on their Royal Caribbean cruise and the best time to try these out is on embarkation day. Because so many guests are just getting onboard and acclimated to the new ship, many guests are unaware of where the headline attractions are or that they are open on embarkation day. Make a point to head to your favorite attraction after boarding to take advantage of low crowds. By going on embarkation day, not only will you likely have a short wait but you may be able to re-ride a number of times! Royal Caribbean's specialty restaurants offer some really great food in addition to the dining experiences elsewhere on the ship. Book these in advance to get an advantage over your fellow guests. You will lock in the price of the restaurant, so if Royal Caribbean raises its prices, you are set. You can break up the overall cost of the cruise. Royal Caribbean will charge you for the specialty restaurant at the time of booking but that will be one less charge on your SeaPass account later. Booking in advance gets you the time and day you really want. Many guests will try to eat at the specialty restaurants on holidays, formal nights and during prime dinner hours, so booking advance gets you the perfect time. You can reserve any specialty restaurant that takes reservations by going to Royal Caribbean's Cruise Planner site. Once logged in, navigate to Dining & Beverage and select the restaurant you wish to dine at. If your Royal Caribbean ship offers any entertainment, such as the Broadway musicals or ice shows, in advance, then be sure to get a ticket before your cruise. Not all Royal Caribbean ships offer advance reservations for Royal Caribbean's shows, but if your sailing has the option, you will be best served by grabbing a spot in advance. Royal Caribbean does not charge for its shows, nor does it charge for advanced reservations. Take advantage of the opportunity to get tickets and not be stuck in a line waiting to enter the theater or worse, miss out on the show completely. Just like dining, you can reserve shows in advance by going to Royal Caribbean's Cruise Planner site. Once logged in, navigate to Entertainment & Activities and select the show you wish to reserve. 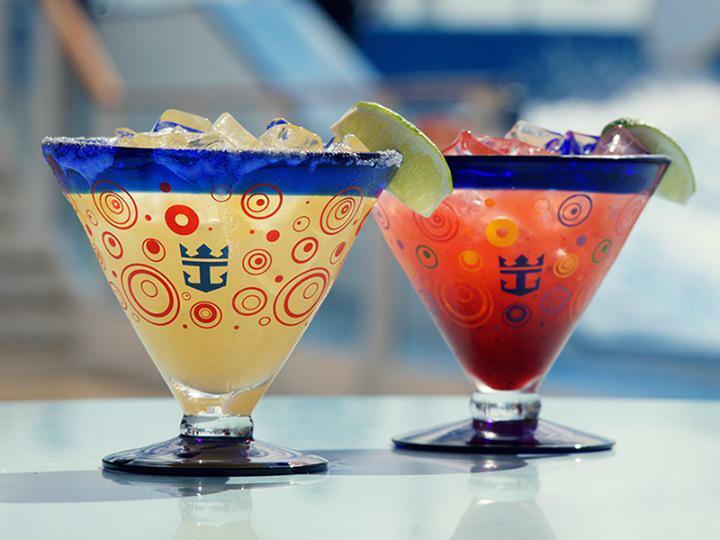 Since Royal Caribbean rolled out its unlimited drink packages a few years ago, they have been widely popular with guests and a great money maker for the company. They can be a great value but it's important to think about what the package entails before purchasing them. The unlimited drink packages operate on the basic premise that guests get to lock in the price of their beverages at a fixed cost and enjoy an unlimited amount of drinks for the duration of their cruise. Sounds good, right? The area where guests run into trouble is the daily cost of the package may not be a cost savings equation when you factor in the length of your cruise as well as port days, when there is less time to get the value of the package. The key is to understand how the drink packages work and then consider if your drinking habits will mesh with your plans for the cruise. If the answer to this question points you to purchasing a drink package, be sure to get it early on to maximize the package's savings. Keep in mind you can purchase the drink package in advance or at anytime onboard your cruise as long as there are at least 4 days left in your cruise. That means you can give your cruise a few days before deciding to purchase one of the packages! When you arrive at the port to begin your cruise and then disembark your ship to go home (perhaps with tears in your eyes), do yourself a favor and use the porters at the pier to make your life easier. The ports have porters that can assist with your luggage and while their services are complimentary, it is customary to tip the porter for their efforts. Commonly it is expected to tip somewhere around $1-$2 per bag and that small cost makes the process signifigantly easier on yourself. Utilizing porters allow you to not just have less stuff to lug around but in the disembarkation process, porters can make exiting the customs area quicker too. Often porters have a dedicated line or are well indoctrinated with the process and can speed things up. For a few dollars, getting to and from your cruise will be simpler. Looking for a balcony stateroom on a Vision or Radiance clas ship? 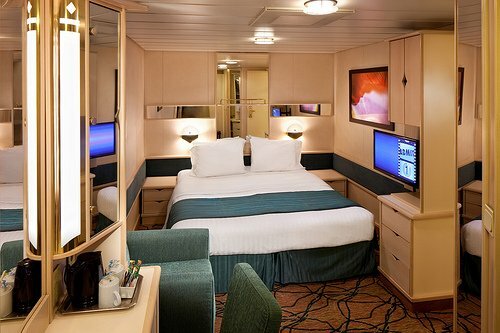 Keep an eye out for the balcony staterooms with lots of extra balcony space without any extra cost. These ships have balcony staterooms that Royal Caribbean veterans call "hump rooms". Hump rooms refer to balcony cabins on the ship's "hump" that give more than double the normal balcony size. The "hump" is the section of the ship that if you are looking at the deck plans, appear to pop out and create a hump, relative to the rest of the ship. On the Vision class, the deck 7 aft staterooms in the D2 category cost the same as other D2 balconies but you get a significantly larger balcony. On Radiance class, look for category D1 through E2 staterooms. These are among the largest balconies you can get and gives you an incredible amount of space for the money. If you are booking two or more adjoining balcony staterooms on select Royal Caribbean ships, you can actually remove the balcony dividers to create one super-large balcony! The secret to removing the dividers and opening up your balcony is pretty simple: you just need to ask. Talk to your stateroom attendant and ask if you can have the balcony dividers opened up because you are friends with the balcony stateroom(s) next to you. Getting permission to open up the balcony dividers will depend on the ship class you have as well as the ship's captain. In general, we've heard on Voyager class ships the practice of opening up balcony dividers is prohibited (many of the ships' balcony dividers are attached to the hull so it's physically impossible) but all other classes of ships seem to allow it. Freedom-class ships seem to be the most consistant in allowing the balcony dividers to be opened. It is one of those things you may as well ask because the worst that will happen is you will be told no. So there is nothing to lose! Royal Caribbean's Vitality Spa offers a lot of services, perhaps even more than you thought they had. 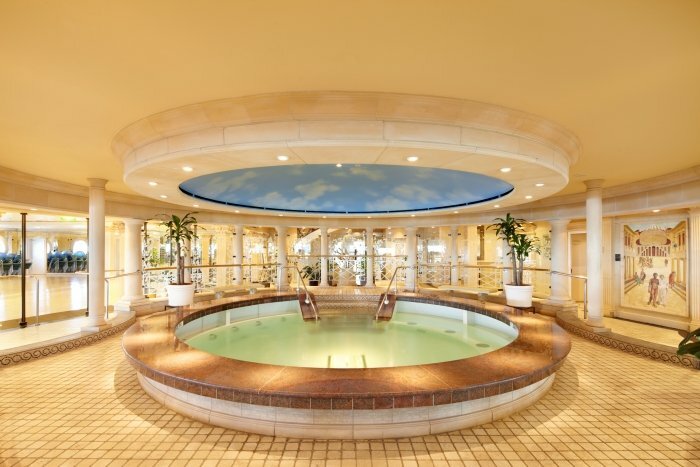 While you're exploring your Royal Caribbean ship, feel free to stop in at the spa and take a tour of the facility. The Vitality Spa crew members offer guided tours on embarkation day as a matter of policy but you can get a tour of the facility at any point in your cruise. The tour is complimentary and there is no obligation to book anything. It will give you a good sense of what services they offer as well as what the spa looks like. What we like about the spa tour is Royal Caribbean designs their spa facilities to be quite lovely in terms of look and sometimes you can overlook a service that you did not know was offered. After taking that Vitality Spa tour we just mentioned, you may want to wait for a port day or two before you book anything. Royal Caribbean offers some interesting specials every day of your cruise, but on port days, the spa specials are the best. Like every department onboard a Royal Caribbean ship, the Vitality Spa is looking to get guests in their doors and spending money. On port days, there are few guests around the ship and so business can get slow. The Vitality Spa will offer up port day specials that are available for the time your Royal Caribbean ship is in port. Each port day special is different, and if you can take advantage of one (or more), you can save a lot of money. Keep in mind that the port special prices are available for the duration of the time the ship is in port. If your shore excursion ends early and you are back onboard an hour or two before the ship is set to leave port, you can go to the spa and take advantage of the deal. Another good tip is to talk to the spa staff about what specials they will be running during the cruise. There is always a special advertised each day and often the staff will share with you what the upcoming specials are so that you can plan ahead and take advantage of the special that appeals to you. Every Royal Caribbean stateroom comes with a mini fridge but they will also be full of liquor and snacks that will cost you money to consume. Assuming you are not interested in taking advantage of the mini bar, you can ask your stateroom attendant to empty the fridge at any time. With the fridge empty, now you have more space to store drinks, medicine and anything else you need to keep cold. We all aspire to eat better and exercise more, and that includes when you are on a cruise ship. Royal Caribbean's fitness facilities are quite impressive in terms of the size, machines and weights available, and classes offered. There is a lot to choose from so be sure to pack appropriate clothing (and shoes) for your cruise. Be sure to also look at a list of the exercise classes being offered throughout your cruise. These classes have an additional cost to them but they are a great way to try something new out or continue the kind of regiment you would be used to back at home. There is usually a table with group class sign up sheets near the entrance of the gym. These days, everyone is looking for ways to save a little money on their Royal Caribbean cruise so there is more money to spend onboard. Royal Caribbean offers a number of discounts to a variety of groups, residents and people in certain vocations. When you are pricing out your Royal Caribbean cruise, as your travel agent or Royal Caribbean representative about these discounts and if they apply to your sailing. Keep in mind that with certain promotions and sales Royal Caribbean offers, these discounts that we listed may not be combinable, so it is important to see which discount will net you the greatest savings. In today's day and age, everyone is looking to do things themselves but when it comes to booking a Royal Caribbean cruise, we definitely recommend using a good travel agent to assist. There is a lot that goes into a Royal Caribbean cruise vacation, from your cruise fare (and the slew of discounts available), to dining, shore excursions, air travel and more. For first time Royal Caribbean cruisers, it can be a daunting task to cover it all and a good travel agent with lots of experience with Royal Caribbean can be a tremendous asset in assisting you to get the best possible vacation experience. Keep in mind that travel agents are paid by Royal Caribbean, so there is no additional cost to you to use their services. Talk to a few agents and feel them out for their knowledge of the product and when you find one that you are comfortable with, leverage their knowledge and expertise and book with them. To find a good travel agent that knows Royal Caribbean well, we recommend asking friends and family who may have used an agent before as well as searching the internet for agents. With any agency you run across, send them a quick email with a few questions to see what their response and response time is like. The idea of sending them emails like this is to see how helpful, quick and knowledgable they are. Veteran cruisers will tell you that a good agent is priceless! To get the best possible price on your cruise, it is a best practice to book your cruise as well in advance as you can. Booking your cruise one to two years in advance will usually get you the best possible deal. Royal Caribbean prices its cruises, among other factors, on supply and demand. As staterooms get booked up, there is less supply and thus, prices tend to go up. It is a lot like the airlines and how plane tickets are priced out. The further out you can book your cruise, usually the better the price. Prices fluctuate on a daily basis so there is no guaranteed way to get the lowest price available, but in general, the lowest prices tend to show up early on. In the past, Royal Caribbean offered last minute discounts but they are in the process of eliminating these discounts because they want guests booking early on. Another advantage of booking in advance is you can monitor the cruise fare price and at any point from when you book your cruise to your final payment date, you can re-price your cruise fare and save money if the price drops. Booking in advance does not mean you have to lay out the full cruise fare in advance either. A deposit is the only thing required to reserve a stateroom and then you have until the final payment date to pay the full fare. 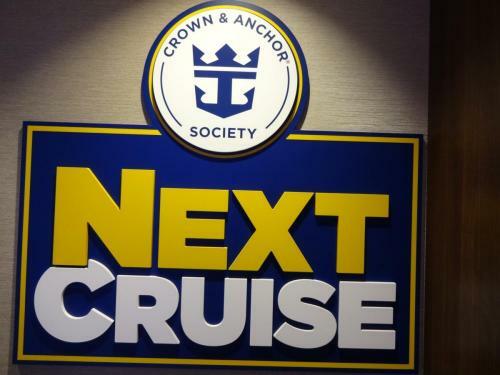 Perhaps one of the best deals Royal Caribbean offers is its NextCruise booking bonus, where guests aboard a Royal Caribbean cruise can get extra money back by booking another Royal Caribbean cruise while still onboard. Each Royal Caribbean ship offers a NextCruise office, where guests can go and meet with a Loyalty Ambassador to discuss booking a future Royal Caribbean cruise. To entice guests to book another cruise, Royal Caribbean offers onboard credit on top of any other available promotion the company is running. Essentially, this is free money and if you know you are going to be taking another Royal Caribbean cruise, taking advantage of this offer is a no brainer. If you are not certain when you can or want to sail again, book a cruise well in advance with the knowledge you can always change what you booked to a different sailing while retaining that booking bonus. A big part of any Royal Caribbean cruise is exploring the ports your ship will bring you to, so be sure research these ports and the activities available from the comfort of your home. While you can book shore excursions onboard your ship, the lines at the shore excursion desk can often be quite long and doing your research from home gives you plenty of time to compare different options and learn about what each port is known for. You can view all the shore excursions available by logging into Royal Caribbean's Cruise Planner and browsing the shore excursions by port. Each excursion will list the price, details of the activity and any physical or age restrictions. Royal Caribbean offers a lot of shore excursions in every port and on top of that, you can also consider shore excursions through third party groups to further expand your options. Royal Caribbean shore excursions guarantee your return to the ship, even if the excursion is delayed. Third party shore excursions can offer more personalized tours at a lower price. Royal Caribbean shore excursions are fully refundable if your ship cannot dock at a scheduled port. Guests can use onboard credit towards purchasing Royal Caribbean's shore excursions if they book onboard. Simply put, Royal Caribbean offers a lot to do on every day of your cruise. Your ship's entertainment staff plans an incredible amount of activities from sun rise to well into the night, so the last thing you want to do is not be aware of what is happening onboard. Each evening, your stateroom attendant will deliver to your stateroom a Cruise Compass, which is like a daily newspaper for your ship. In the Cruise Compass is a listing of activities, specials, and other events happening the next day. It is just a few pages, but it is your guide to literally anything and everything happening. Often we hear from readers who lament missing out on a particular event because they were not aware it was happening, so reading the Cruise Compass is vital to knowing about it all. One neat feature of the Cruise Compass is the daily activity list at the end is meant to be torn out, so you can fold it up and keep in your pocket. Bring a highlighter with you to make it easier to label which events you are interested in seeing. Whether you are vegetarian, gluten-free, keep Kosher, avoid red meat, like extra olives or have any other special request when it comes to food, you will want to speak with the head waiter to make sure your main dining room experience is perfect. Royal Caribbean's wait staff strives to give excellent service to everyone and that kind of personalized service means they are available to handle any special request you may have that they are capable of doing. Royal Caribbean's menus offer a lot but if you have a special request, head to the main dining room and ask to speak to the head waiter. Tell him or her what you are looking for and what will make you happy. The head waiter can accommodate nearly any request if they have the ingredients and means to fulfill them but the key is to ask. Too often we hear back from readers who were disappointed with the food selection but did not bother to make a request. You can even make requests regardless of if it is for health reasons or not. I often ask the head waiter for an Indian dish every night at dinner because I really love Indian food. My father will request a plate of chopped vegetables when he dines in the main dining room for breakfast. The key is to ask. What tips do you recommend for a better Royal Caribbean cruise experience? Share them with us in the comments!